All video, all "Fox Sports" bylines. That's a bold strategy, Cotton. 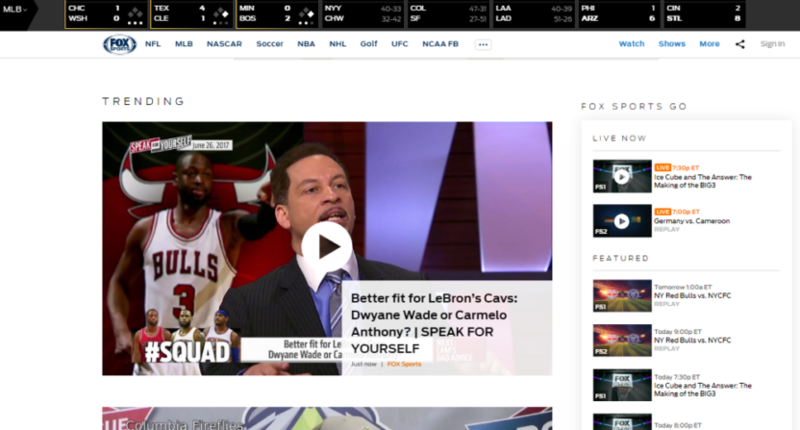 On the same day that Fox Sports announced the end of written content on FoxSports.com and the layoffs of around 20 writers and editors (which Bloomberg reported before the official memo went out), they also rolled out a new look for their website. 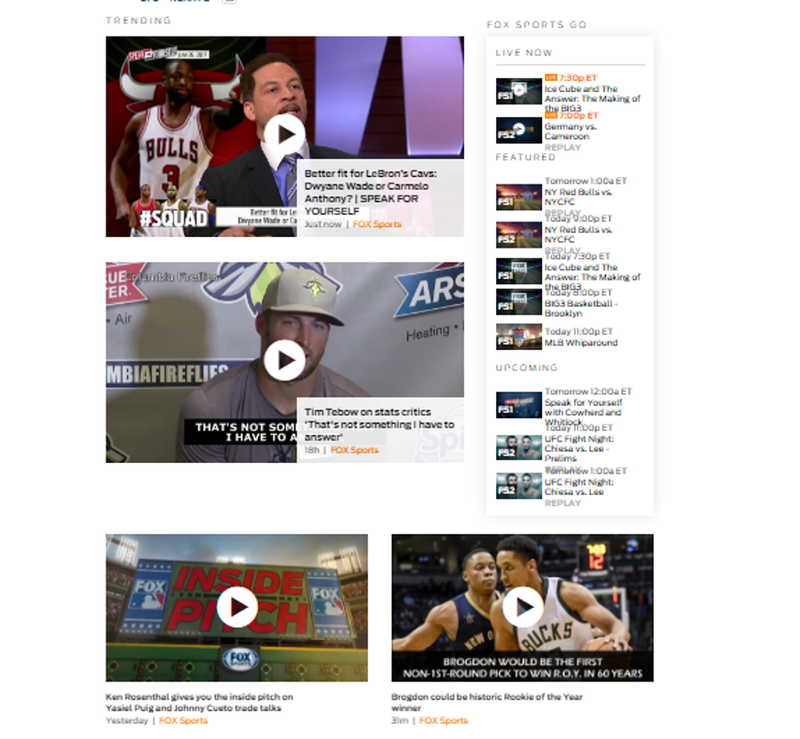 Unsurprisingly, with the new focus on creating video content and ending written content (explored in our big piece here), the new site is all videos, and all “Fox Sports” bylines.” You can see one screenshot (taken around 7:30 p.m. Eastern Monday night) above; here’s a taller version of it. 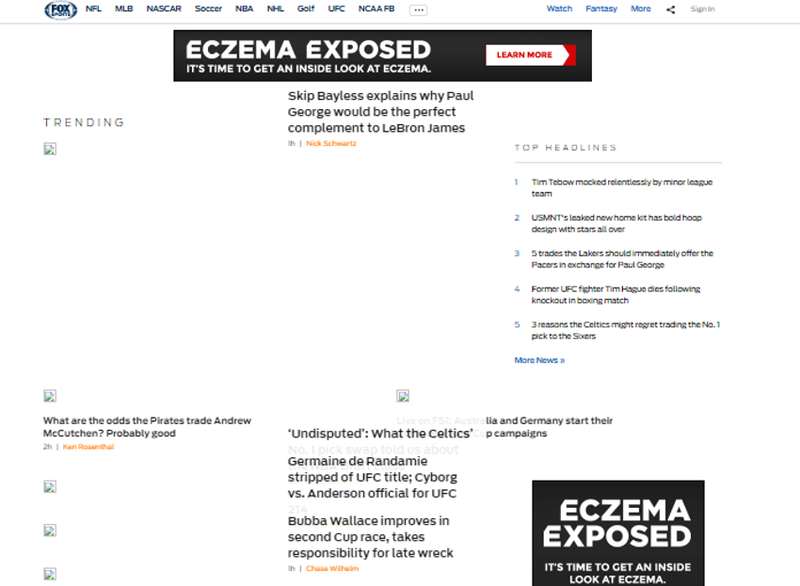 The top two stories are on things said on Undisputed, with the other two on properties Fox broadcasts (UFC and NASCAR), plus a Ken Rosenthal column off to the side. And the top headlines show you written pieces on actual news were clicking much better than what people said on Undisputed, but hey, you know, gotta pump that digital strategy. It’s notable that the “Writers” page (previously found under the “More” tab) is gone, too. 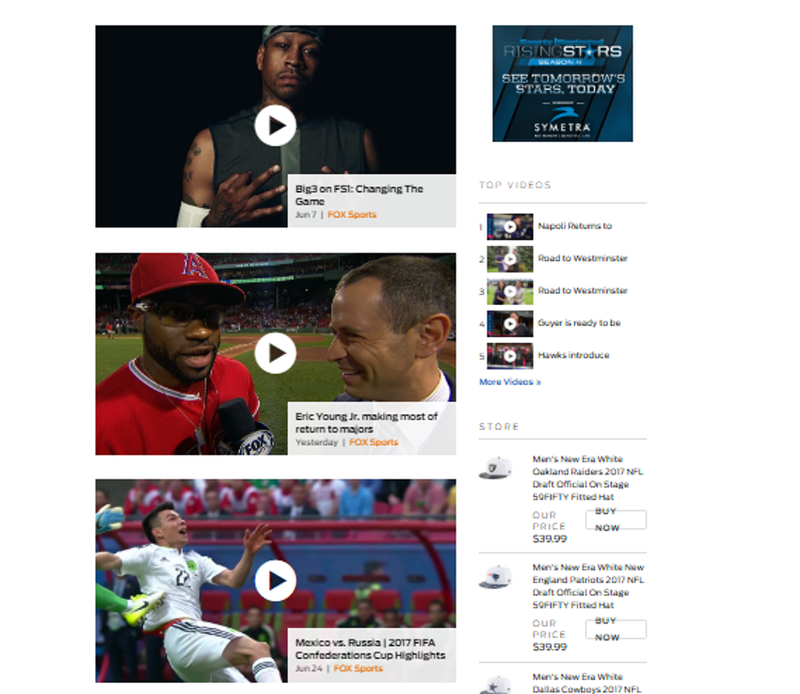 And that going to it directly (FoxSports.com/writers) now redirects you back to the main page. 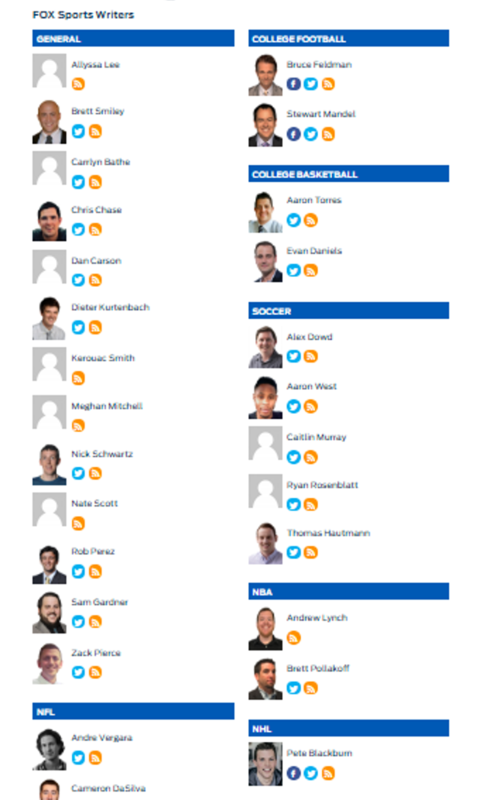 You can view the archived version here if you want to see who used to write there, or look at this screenshot of some of the writers (some at the bottom are cut off) who were listed there earlier on Monday; we don’t have confirmation of who’s gone yet, but the “end of written content” suggests that most of these people won’t be staying on. To Fox’s credit, they haven’t pulled down the writers’ archives, which is a point for them compared to some other online companies that have gone out of existence or shifted away from written content. 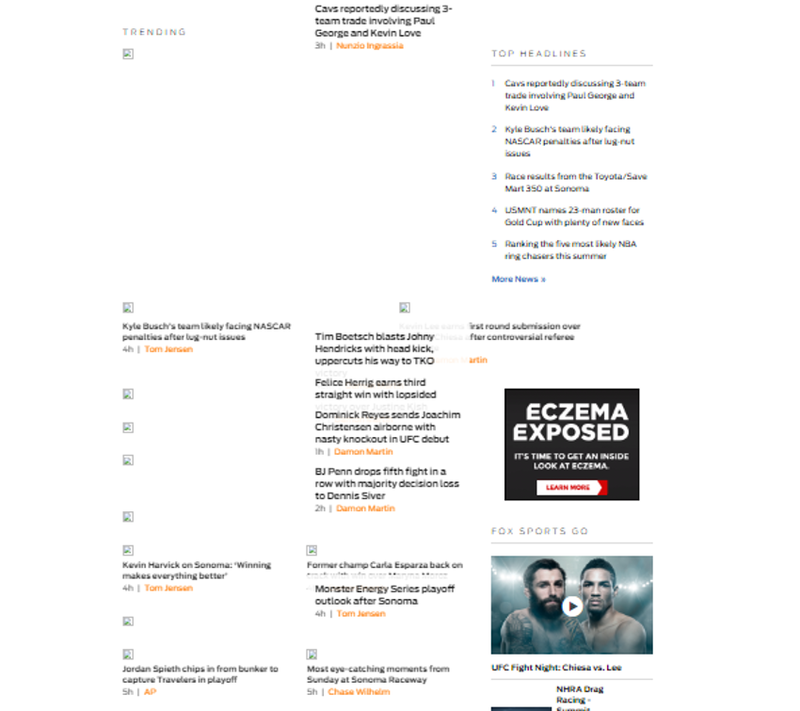 The redesign also seemed to go relatively smoothly (in terms of the functionality of the new site, at least). And if Fox does want to resume written content (or even still do small amounts of it) at some point, they would seem to have the capability to do so. But this redesign definitely adds to their stated shift away from writing and towards video. Again, here’s our promised big piece on the changes at Fox.